A centerpiece I used for my Christmas party over the weekend. 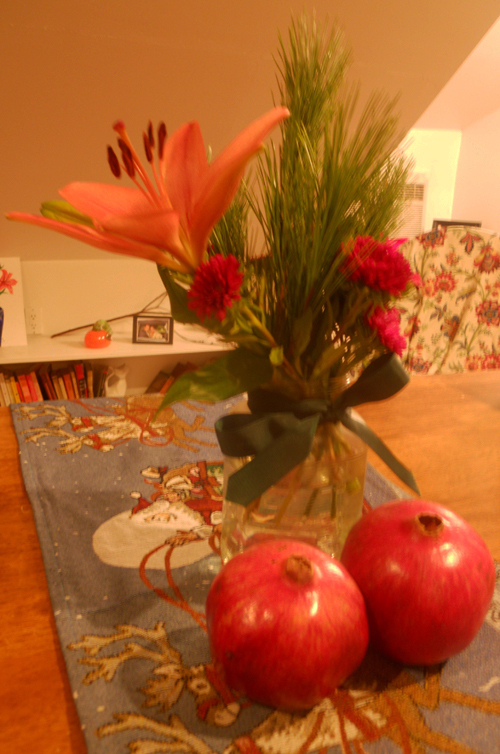 A bouquet from Trader Joe’s in a jar with ribbon and pomegranates. 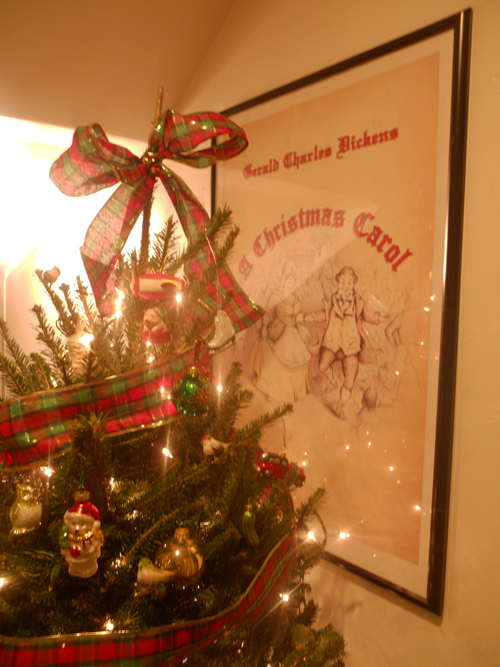 A new poster to go along with Mr. Douglas Fir. A fresh wreath filling some wall space. Merry Christmas! How was your day? Did you eat a lot? Did you get everything you wanted? We had unusually beautiful weather in Cleveland this year. Warm enough that I was able to go for a walk after lunch and take some quick outfit pics. Although there was no snow I felt like the sunshine added to the overall cheeriness of the day. I got some very fun gifts for my apartment including some new party games and a crock pot that I had been wanting. And I of course got clothes and more clothes. 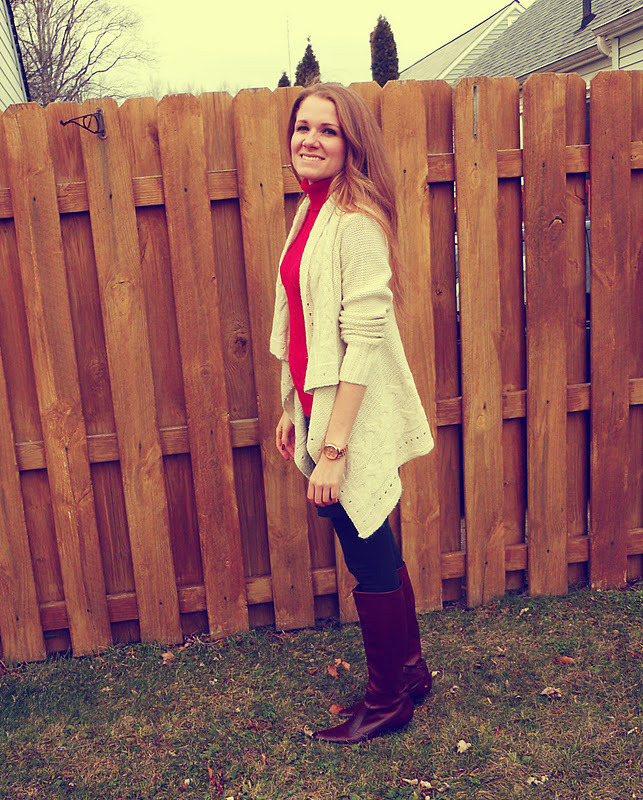 This flyaway cardigan was one of my favorites. I see it becoming a very consistent member of my wardrobe. One of the best moments of the day was surprising my mom with a photo blanket of our family. I ate a ton and laughed hysterically playing my new party game with everyone. 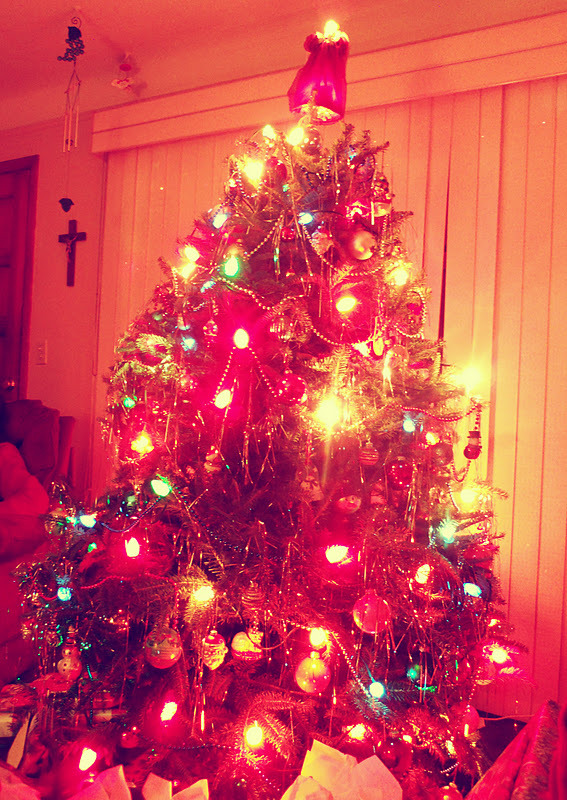 What was your favorite moment from your Holiday celebration? 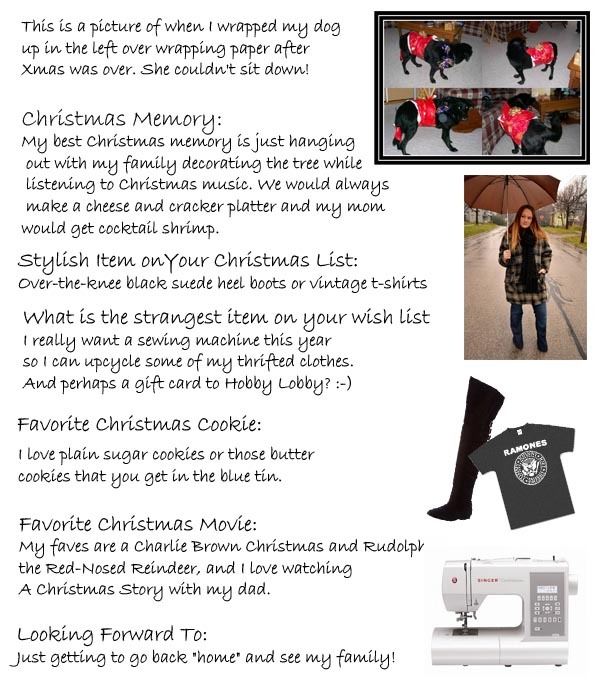 Kimberly Morris from SMITTEN…in Cleveland shares a Christmas Memory and her Wish list! Happy Holidays! 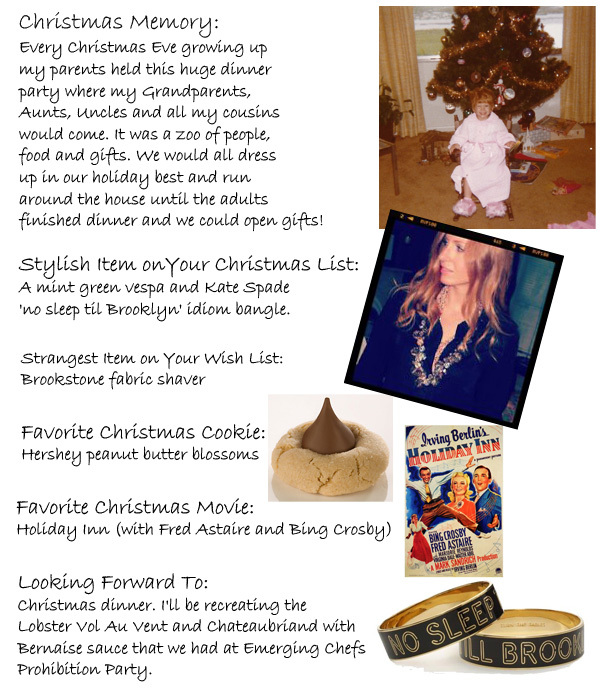 Dina from Dina’s Days shares a Christmas Memory and what’s on her Christmas list this year. My tip to everyone Christmas shopping this year is Don’t Underestimate Old Navy. 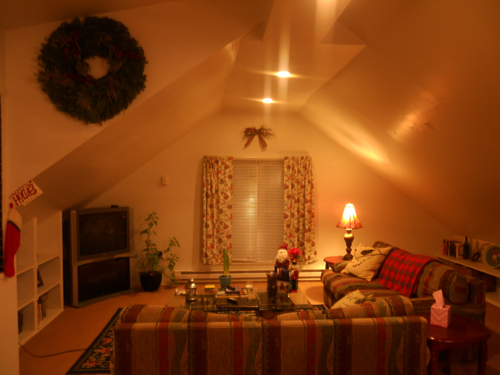 I have been really impressed lately with what they have to offer this Christmas season. 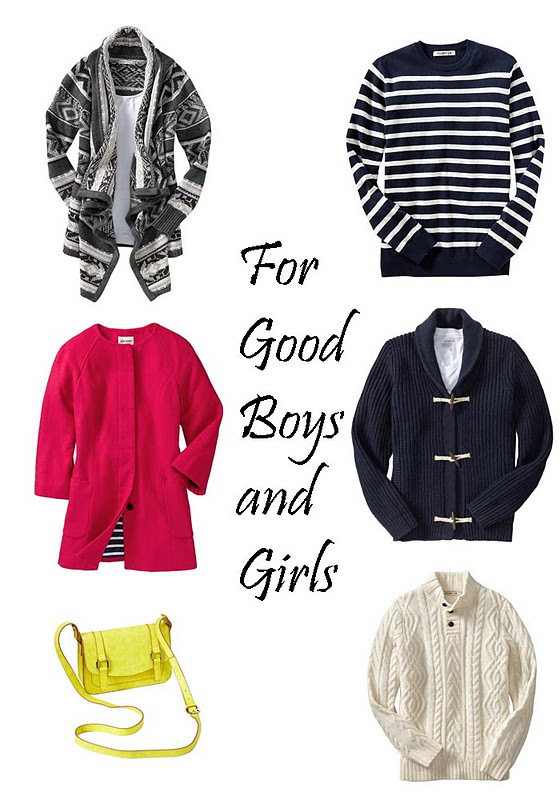 Cute stripes, bright colors and classic sweaters are all things on my Christmas list. 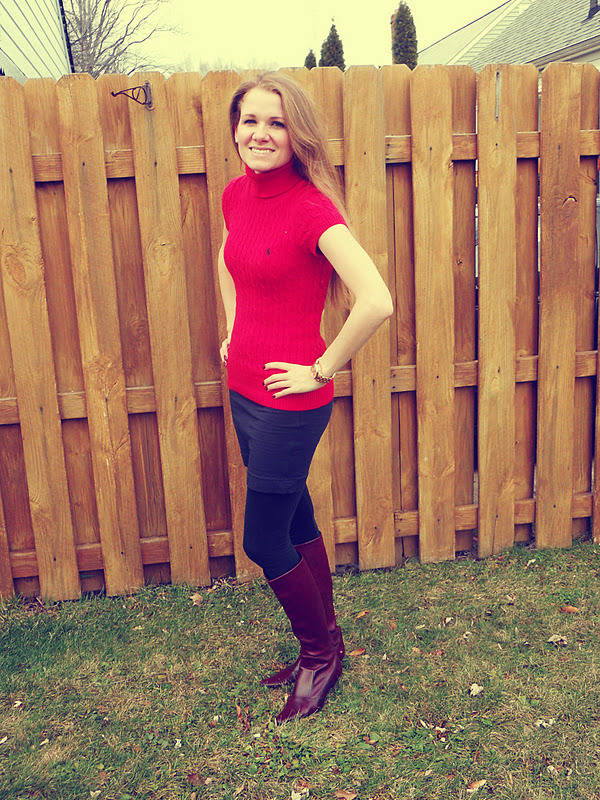 Not to mention, I bought the cutest polka dot sweater at the outlet this weekend for $10! Don’t forget to enter my Shabby Apple giveaway! 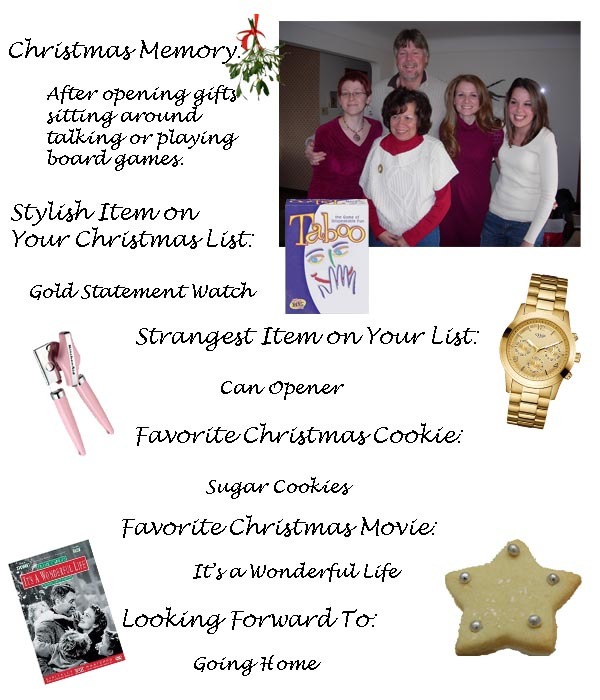 Throughout the month of December I will be posting Christmas memories from some of my blogging friends and items on their list this year. 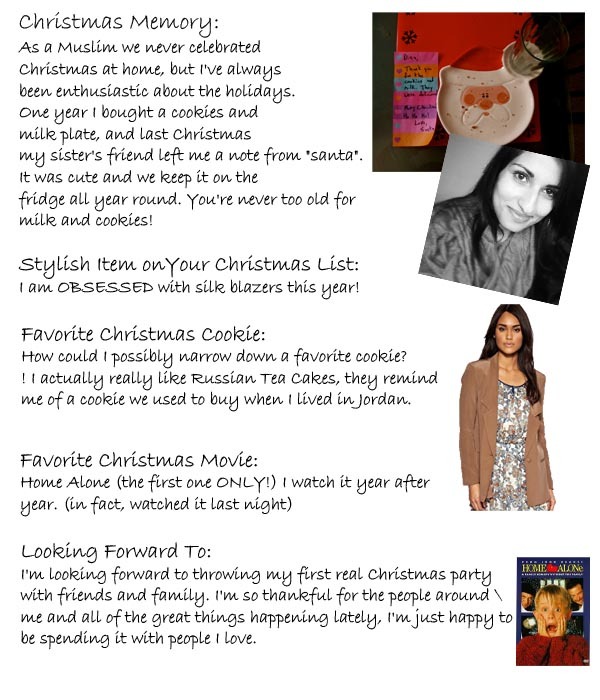 To start things off here is my own Christmas Memories and Wish List post.